In just 17 days the 2018 Build For A Cure home at The Bower, Medowie has gone from slab to a fully furnished 4 bedroom home. This Sunday marks the much anticipated Reveal Day with the likes of The Block’s Scott Cam, local football legend Mitchell Pearce and ex-Blockheads Maxine & Karstan all onsite to lend their support to the cause. 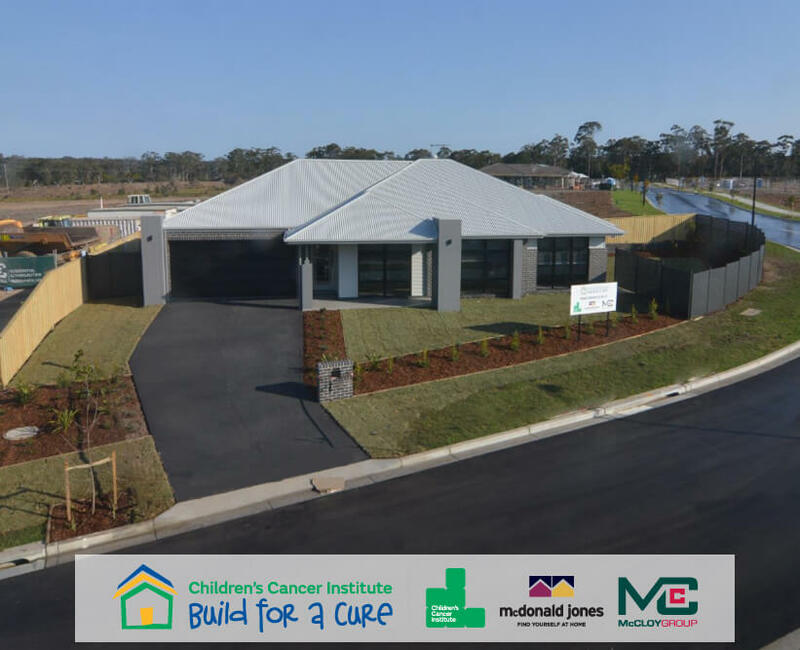 This project is all about the community coming together to support curing childhood cancer, the land at The Bower was donated by McCloy Group and the home designed and donated by McDonald Jones Homes. All the furnishing, trades and real estate services also donated so each and every dollar raised in the sale of the home will go to lifesaving research by the Children’s Cancer Institute. We hope you can join us at the reveal event from 10:30am this Sunday!